The 1996 Baltimore Ravens season was the franchise’s inaugural season in the National Football League (NFL) and at their home stadium, Memorial Stadium in Baltimore, Maryland. Baltimore remained without an NFL football franchise for 13 years after the Baltimore Colts relocated to Indianapolis, Indiana. In 1996, however, the NFL approved Cleveland Browns owner Art Modell’s proposal to relocate the franchise to Baltimore, although the records and name of the Browns would remain in Cleveland, Ohio. 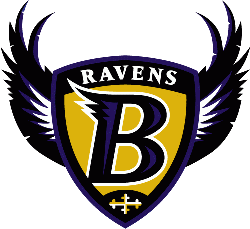 After Modell established the franchise in Baltimore, the team was named the “Baltimore Ravens” via a poll conducted by the Baltimore Sun as the team was assigned to play in the American Football Conference (AFC) Central Division; afterwards, over 50,000 tickets were sold for the entire season. The Ravens would finish their first season with a 4–12 record under coach Ted Marchibroda, who coached the Colts before and after they relocated and has a 41–33 regular season record in Baltimore.